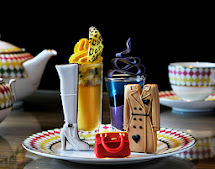 A modern take on a British institution, Brit Rocks and Tea Pots afternoon tea showcases the best of traditional British produce. The tea is served in the cool and contemporary space of the iconic Met Bar every Thursday to Sunday from 2.00-5.00pm. The Tea is the perfect couples treat or group celebration, and includes a refreshing fruit infusion, pot of London Company tea or for those in need of something stronger, a glass of chilled Champagne.